THIRDY Ravena missed out on a Mythical Team selection this UAAP Season 81, but he can still lay claim to something his brother Kiefer was unable to accomplish. The fourth-year forward became a two-time UAAP Finals Most Valuable Player on Wednesday after powering Ateneo to back-to-back title romps with a 99-81 Game Two triumph at the Araneta Coliseum. Ravena did everything in his power to secure that the Blue Eagles remain in their throne atop the UAAP as he was all over the floor to stymie the inspired UP Fighting Maroons. The 6-foot-2 high-flyer just went one dime short of a triple-double in Ateneo's 88-79 Game One win, with 21 points, 10 rebounds and nine assists on Saturday. It turned out he saved his best for last. 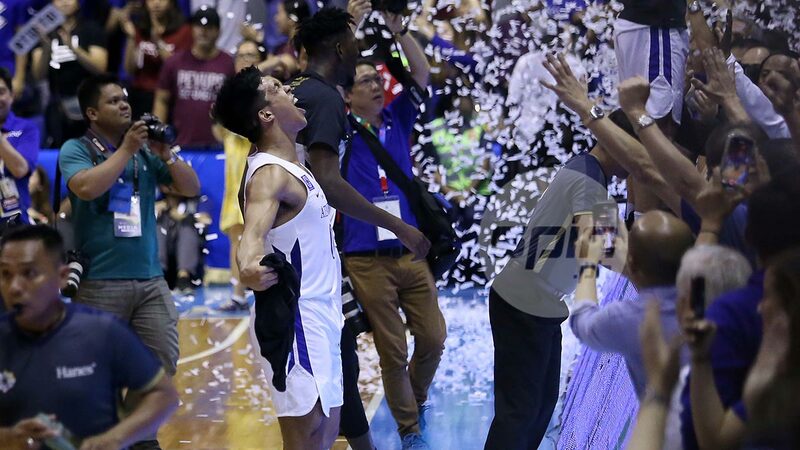 Ravena unleashed a career-high 38 points, the highest scoring output in the finals in 15 years, on top of six assists, six rebounds, three blocks, and one steal in the Blue Eagles clincher for his second UAAP title.